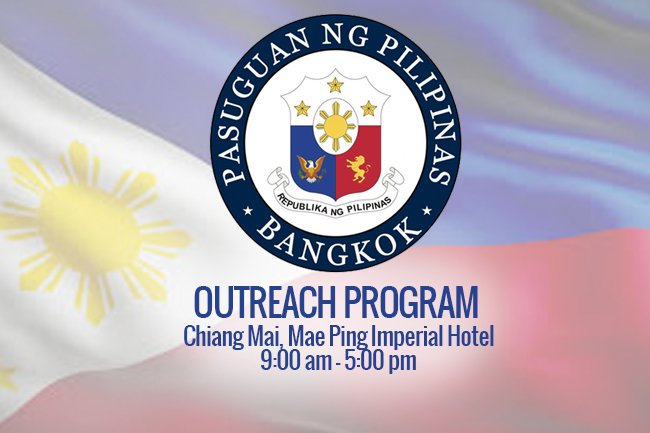 To provide consular assistance to Filipinos in far-flung provinces, the Philippine Embassy in Bangkok will conduct a consular outreach program in Hua Hin, Prachuap Khiri Khan Province on Saturday, September 24, 2016. 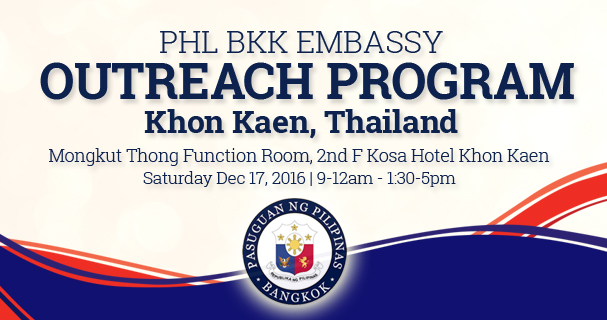 The outreach program will start from 9:00 am to 5:00 pm at Ibis Hotel Hua Hin on Petchkasem Road Hua Hin 87 in Prachuabkirikhan, Hua Hin. 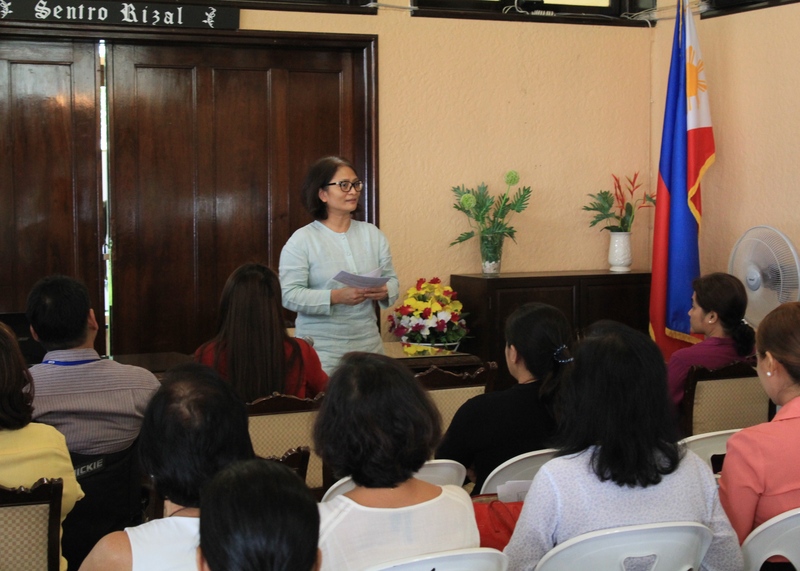 A community dialogue and seminar on financial learning, emergency preparedness, and the ASEAN community will also be conducted during the outreach program. 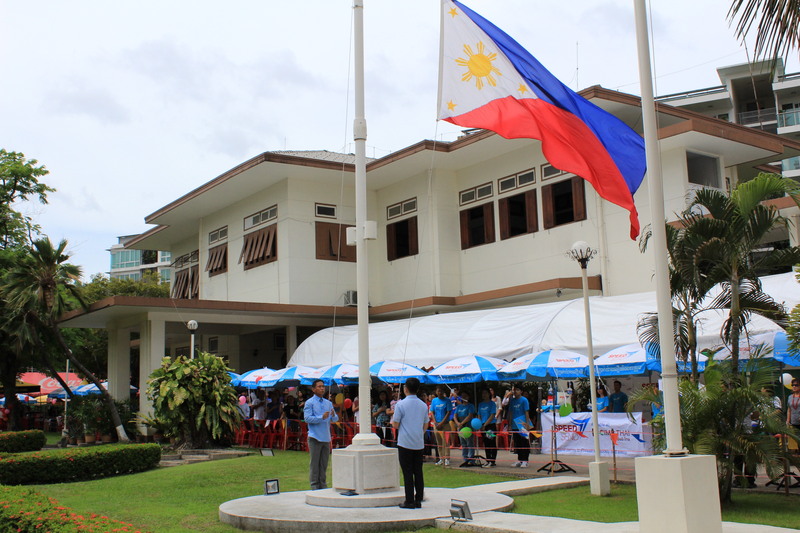 “Filipinos residing in the neighboring provinces of Chumphon, Phetchaburi and other nearby provinces are also invited to avail of consular services and to attend the community meeting,” the Embassy said in an announcement. The following services will be available at the said outreach. PASSPORT APPLICATIONS (Renewal, Lost, Damaged Passports). Those who wish to apply for renewal of passports are requested to bring their original, and a photocopy of the data-page of their passports. Those who wish to apply for replacement of lost passport are required to present a Thai police report with English translation and an affidavit of loss. PASSPORT RELEASE. 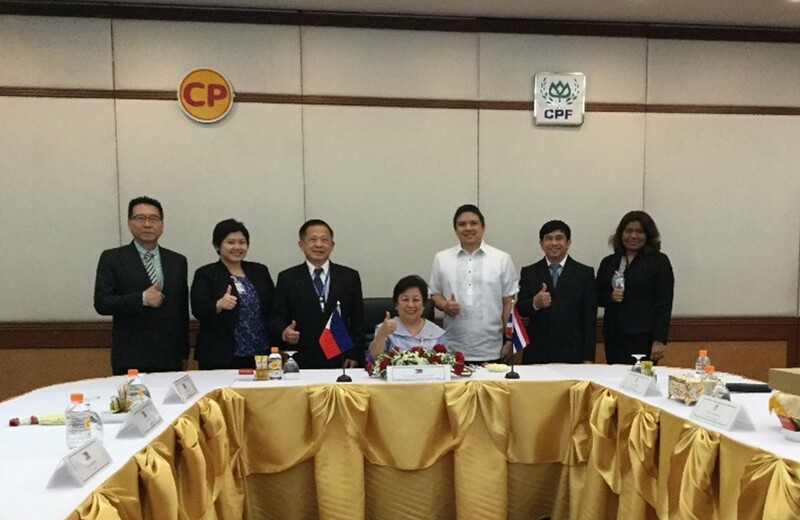 Those who would like to have their passports released during the outreach must first verify if their passport is ready for release via: http://bangkokpe.dfa.gov.ph/…/p…/passports-ready-for-release. After verification, the applicant must send an email to bkkpe.consular@gmail.com requesting the Embassy to release the passport during the consular outreach program. The email message must contain the name of the passport applicant, passport application number, mobile number and email address of applicant. CIVIL REGISTRY (Birth, Marriage, Death). For reports of birth, marriage, or death, please make sure that the birth or marriage or death certificate issued by the Thai authorities is translated into English and authenticated by the Thai Ministry of Foreign Affairs. NOTARIAL SERVICES (Authentication, Certification, Acknowledgement, Affidavit, Special Power of Attorney). Applicants are requested to bring two (2) sets of photocopies of the document to be notarized. The original copies of documents to be authenticated must also be presented to the consular officer during the outreach. EMBASSY IDENTIFICATION CARDS. 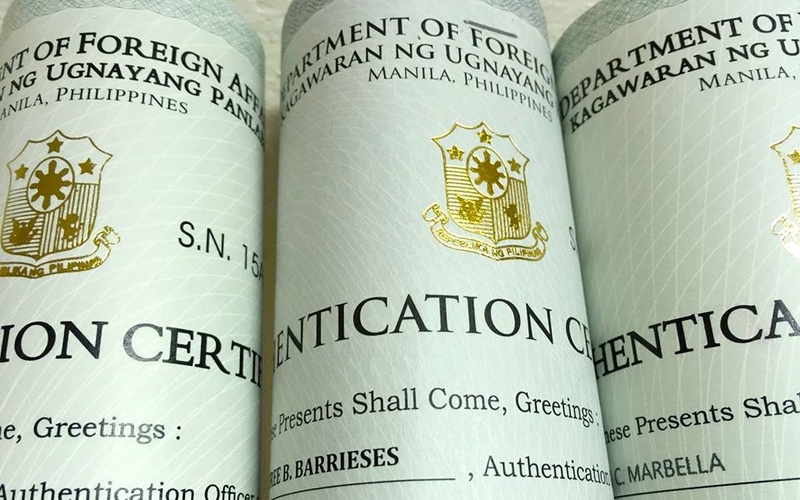 Those applying for Embassy registration IDs are requested to apply online via:http://bangkokpe.dfa.gov.ph/…/oth…/register-with-the-embassy. Please bring 1 (1×1) ID photo, and present your valid passport and passport when claiming your ID. For more information, you can call 02-259-0139 or visit the embassy website.